A company that designs and manufactures software and equipment primarily for the defence sector has gone into administration, threatening 150 jobs. Dytecna, based in Malvern, Worcestershire, will continue to trade while a buyer is sought, administrator FRP Advisory said . FRP said despite a "loyal customer base" the company had recently faced a "deterioration in trading". 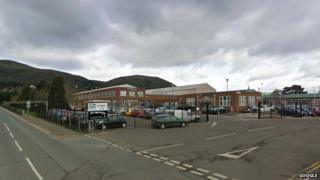 The firm also has bases in Fareham, Hampshire, and Welshpool in Powys. West Worcestershire MP Harriett Baldwin said she understood there had already been interest from a number of potential buyers. Dytecna has previously supplied equipment to the likes of BAE Systems and QinetiQ.